We took almost half of the year to develop and test V2. Team Password Manager V2 was released on June 1st. It was a significant improvement over V1: new UI, tagging, user groups, two-factor authentication and logging were the most important new features. We published two documents regarding 2FA. 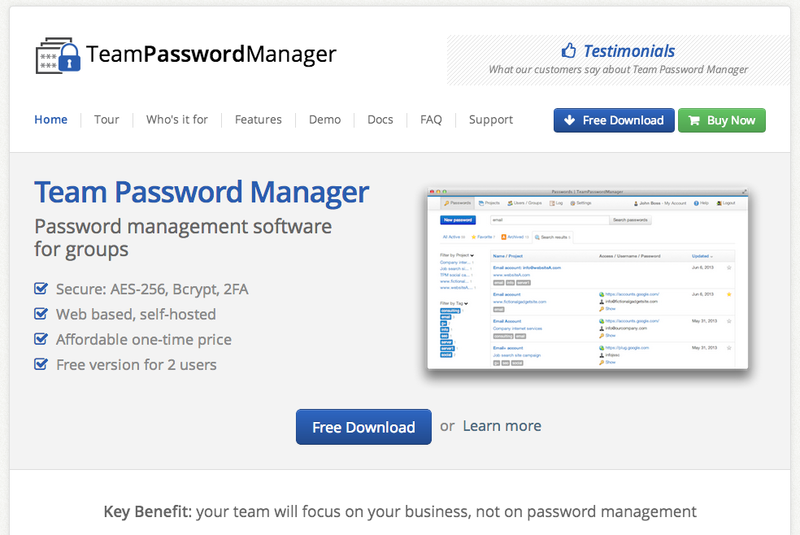 Team Password Manager 2.7.11 was released, with many new features that users demanded. Some more docs were created. We added file uploads to Team Password Manager. The most demanded feature to date, LDAP authentication, was added to Team Password Manager this month. We did some optimizations to the main queries for the last release of 2013. Many minor - but also important - features and enhancements, like: project groups, log export and delete, direct access to a password, password duplication, timeout, branding and many more. A lot of these features have been requested by our users and will be released throughout the year. Major features, which are: Application Programming Interface (API), responsive (for mobile browsing) and multilanguage support. As always, thanks to everyone who is helping us improve Team Password Manager.